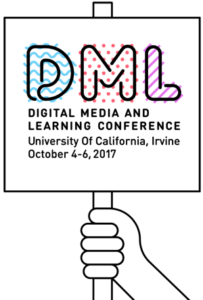 Join us October 4-6, 2017, for the 8th annual Digital Media and Learning Conference. This international gathering brings together a vibrant and diverse community of innovators, thinkers, and progressive educators to delve into leading-edge topics in digital media and learning. We build connections across research, design, and practice in the service of progressive, equitable, and youth-centered approaches to learning with technology. 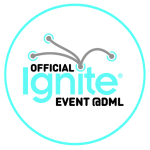 DML2017 will be held at the sunny University of California, Irvine campus and will feature an in-depth pre-conference workshop day, as well as two days of general sessions filled with opportunities to reimagine and remake learning in a connected world. We hope you can join us! General Sessions will accept proposals in five different formats, tailored to the diverse forms of research, innovation, and activism of the DML community. TEACH-INS (90 minute sessions): Hands-on sessions that engage participants in a workshop that includes small group engagement, making, or other interactive formats. PANELS (60 minute sessions): A panel with multiple complementary presentations (3-6) from at least two different projects, presenting original research on or practical applications of digital media and learning. Proposals must include information about the full panel, including all presenters and presentation titles. SPOTLIGHTS (30-minute sessions): Deep dives exploring an innovative project, real-world endeavor, or multi-pronged research effort. This format can include one or multiple presenters, but should be reserved for large-scale or sustained efforts that require in-depth treatment. SINGLES: Singles proposals are for individual 8-10-minute individual presentations on a research study, design, or program. Selected single proposals will be grouped by the conference committee into a panel with complementary talks and time for discussion. SHOWCASE: Tech innovators can apply to showcase their work to the DML community during the course of a festive evening reception. The tech showcase is an opportunity to engage directly with attendees through hands-on demos. We will provide a table, two chairs, access to power, and a table-top sign. You bring the rest! There is no exhibit charge for the tech showcase–we just ask that you register for the conference. AV & Wifi: All conference rooms will be equipped with standard Wi-Fi broadband service, AV projection, and sound. You will need to provide your own laptop and VGA adapters. We will not provide additional bandwidth capacity or provide other special equipment. * Complete the application (closed May 1, 2017). * All proposals have a limit 350 words or less. Title word limit is 15 words or fewer. * Select a format category: Teach-In, Panel, Spotlight, Single, Showcase. * Include a main group contact as well as affiliations, emails, and titles for all presenters (if applicable). * An individual can be listed as a presenter on up to three proposals, and will be limited to participation in no more than two sessions. The pre-conference workshop day offers deep dives into hands-on workshops, mini-courses, and working sessions with top experts in the field. Topics range from courses in media making, learning analytics, program evaluation, and game design, to working sessions focused on delving into cutting edge problems in research and practice. In order to view the full workshop descriptions and applications forms, click here.